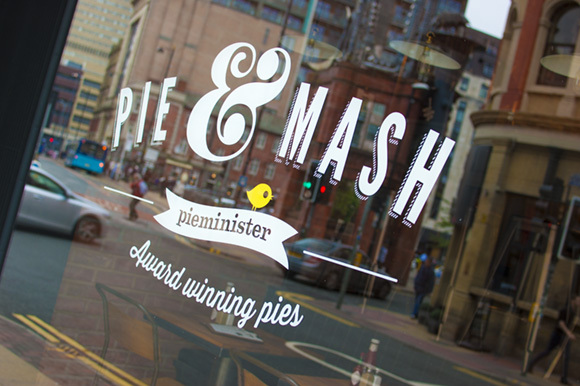 Bacon on the beech: PieMinister Manchester. 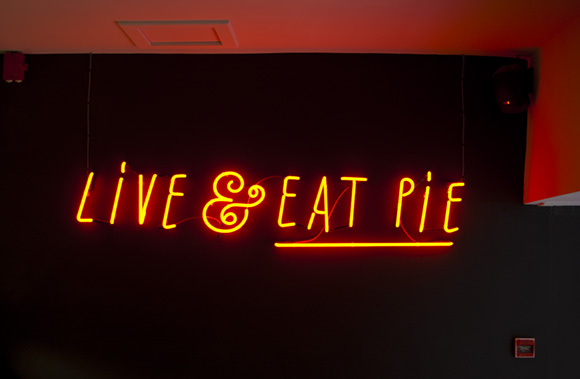 I was the very first customer at the brand new PieMinister today, banging on the door shouting ; I need pie let me in! 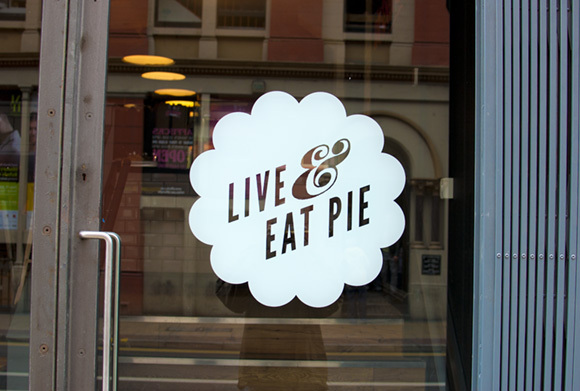 I know Pieminister pies very well, first I think at The Big Chill Festival years ago, then at Chorlton and Altrincham bars Pi. The inside is as you'd expect; that modern clinical slightly industrial look. Turns out they have another branch at Trentham Gardens, near my home town, so many of the staff are well experienced, although the Northern Quarter is a very different clientèle. They have a good visible position there as well, just down from the crossroads where Vinyl Exchange is, and not too far from the Arndale. 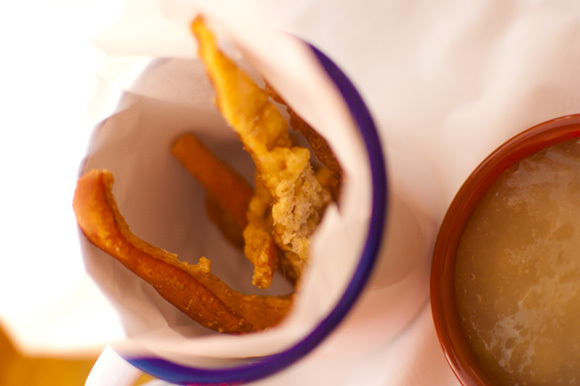 I had some Gourmet Pork Scratchings with apple sauce whilst I was waiting. These were good, crunchy, not too salty and tasted proper home made. For £3 though, I'd expect a few more to be honest. I also had to drink a Fentimans Dandelion & Burdock, a perfect old school accompaniment to a pie I think. They had beer, but the choice was fairly limited and there was nothing on tap (I always rally against paying £4 for a small bottle of beer in restaurants). 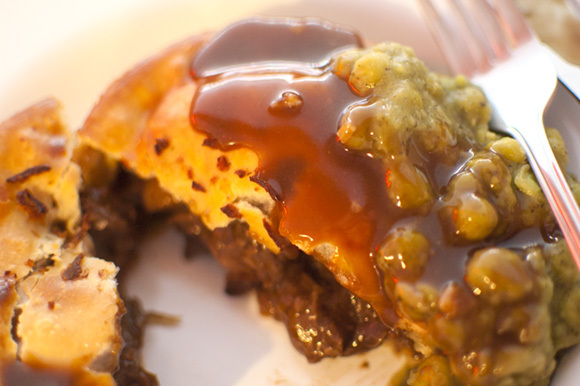 I've tried most of the range, but this time I went for the Gold Award Winning Moo Pie (British Beef steak, cracked black pepper, and real ale, £4.20). I enjoyed it, but then I always do. As it was lunch time I missed out on the mash, just Minty Peas (£1.50), which were fine. 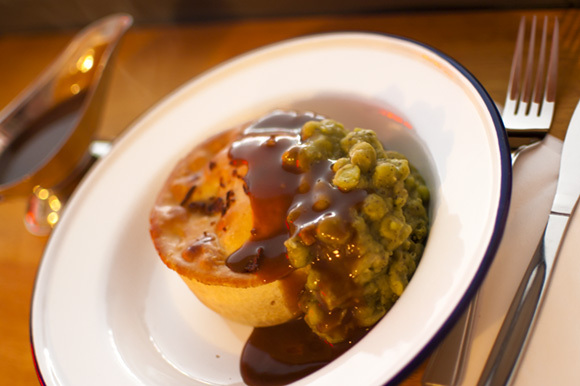 So how does it compare to the other fairly newcomer and main competitor in the Northern Quarter; Pie & Ale? 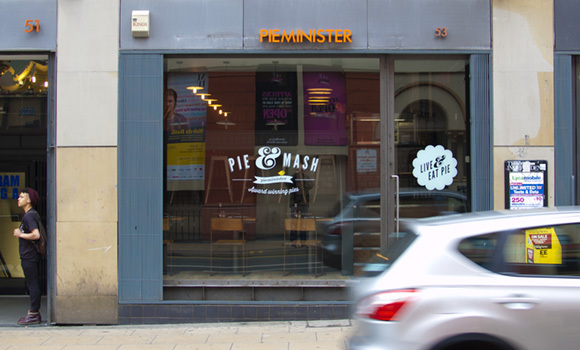 Pieminister wins. 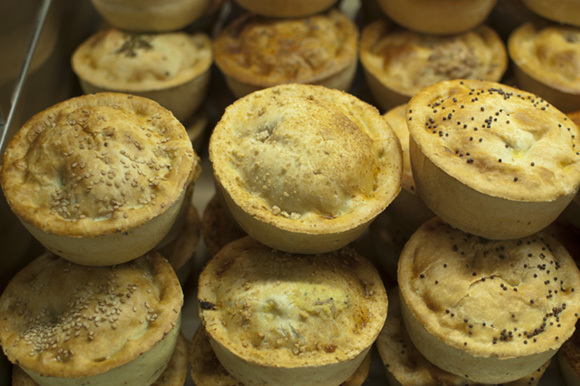 Although Pie&Ale pies are made on the premises, the pastry is thinner on Pieminister pies making them less heavy, I also think their flavour combinations are unbeatable and offer a better choice in the range. 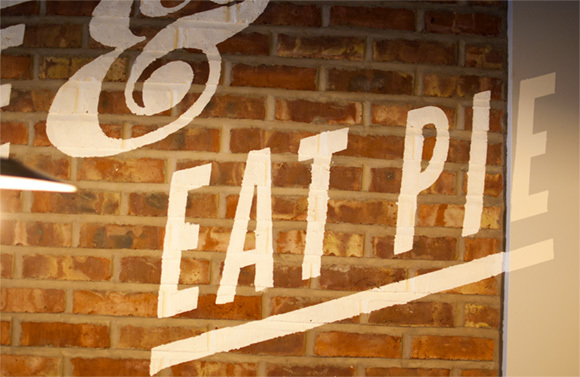 Pie & Ale wins. A much better selection plus several hand pumps, some of which are very well priced. 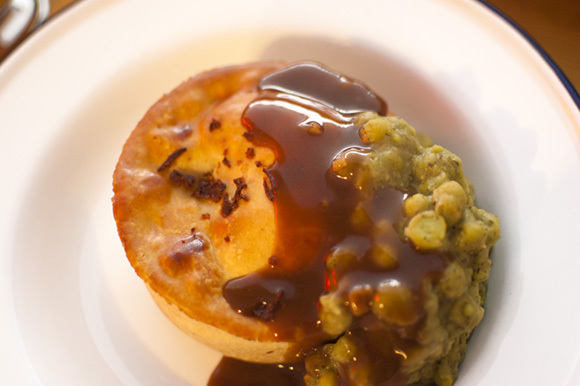 Pie & Ale wins, the gravy was better with a real taste of red wine. They're just peas aren't they? 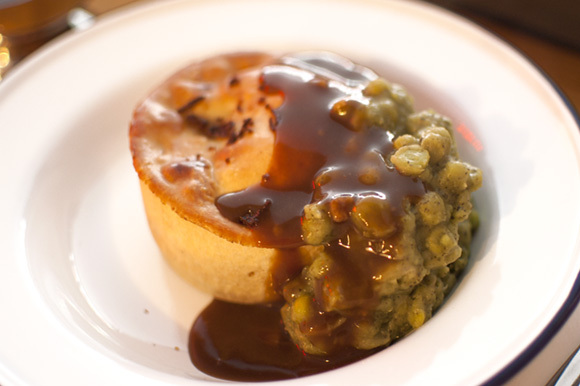 About the same, but I could really taste the mint in the Pieminister peas. 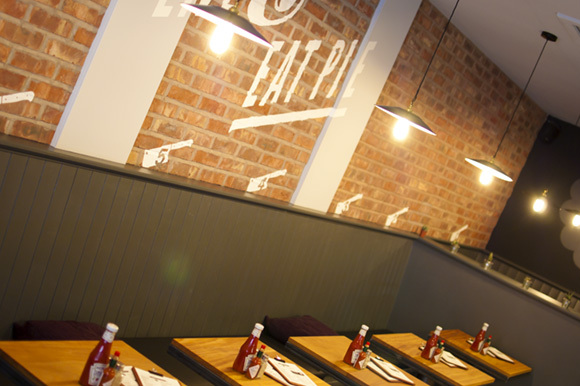 Again, about the same, but I do like the booths in Pie&Ale. So in conclusion: you pay your money you take your choice. 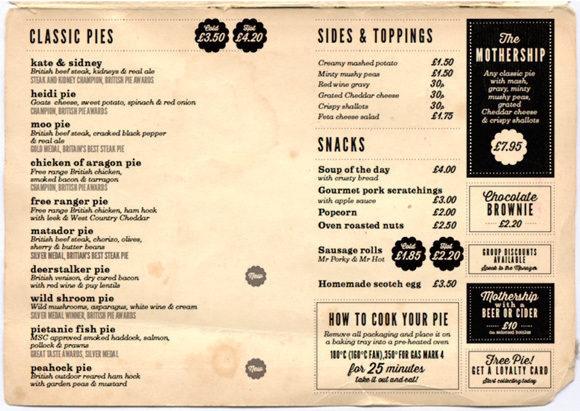 If I was staying for an evening of beer drinking, I'd probably go for Pie & Ale, a quick pie for lunch; Pieminister. Different prices for hot vs cold? Is that the government's recent food law taking effect then?